Samantha Brick is a British writer and journalist for The Daily Mail. She caused a storm of viral debate when in 2012 the newspaper published her online article entitled ‘There are Downsides to Looking This Pretty: Why Women Hate Me for Being Beautiful’. 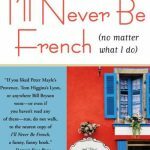 So, when I got her book “Head over Heels in France” published in April 2013 to review, I was expecting to read a shameless tomb about how wonderful Samantha is and about a perfect woman with a perfect life. 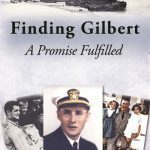 Imagine my surprise then when the book starts with the story of Samantha’s real life, the tale of a woman who had found success came with a cost and for her, a downside – failure. Indulged and cosseted by loving parents, good looking, spoiled, successful in her career in television – it seemed that Samantha had everything anyone could ever want in life. But it all came to a juddering train wreck of a halt. Her business went bankrupt, her calls went unreturned, she lost her home and her friends, was prescribed anti-depressants and was in debt up to her neck. It seemed as if life was playing a cruel trick on the woman who had everything, able to spoil herself with the best of designer wear, shoes, theatre, luxury travel. But selling your soul has a price and for Samantha it came with a lot of big fat zeros. Luckily, she had two dogs she adores, a wonderfully supportive family and managed to retain some of her contacts including a friend in France who asked her to stay for a week during which she met a very macho Frenchman who fell head over heels in love with her. After a whirlwind romance conducted over the phone Samantha returned to France to stay with him and very soon after moved in with him. It is a true story – sometimes funny, sometimes bitter-sweet, honest and ultimately endearing. Life in rural France is no bowl of cherries for someone who is used to city life. I completely believe Samantha when she talks about having to fetch and carry logs to keep the wood fire burning, learn to cook with fresh ingredients and learn the skills of a French housewife – I’ve been there too so I know how hard it can be. 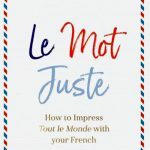 She also has to contend with learning to speak French and she admits to finding it hard, learning to live with her French lover’s ten year old son – he has baggage – and coming to terms with not being near shops, transport or other trappings of an urban existence. 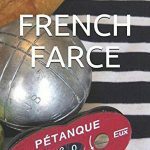 She also discovers frenemies in France, and here I found shades of that Daily Mail article as the issue of jealous expats is raised. 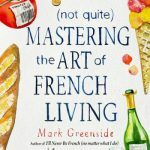 She’s revealed to be a tenacious go-getter who learns that in life one is sometimes a pigeon and sometimes a statue – I ended up being a fan and I’ll definitely be buying the sequel to Head Over Heels in France that she’s currently writing. 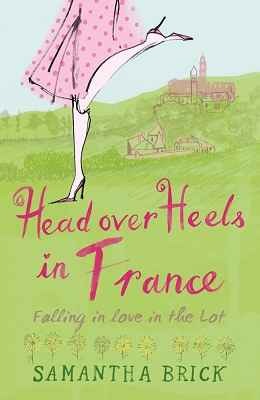 You can buy Head Over Heels in France by Samantha Brick on Amazon.